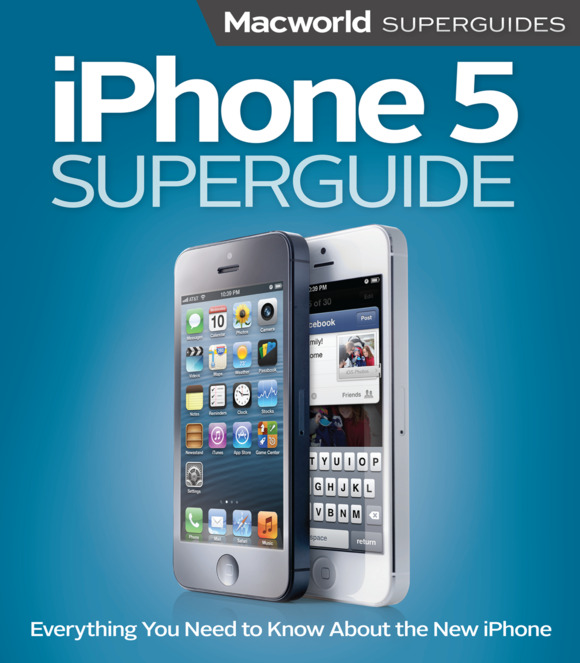 Whether you’ve just picked up an iPhone 5 for your loved ones or received one yourself, let the editors at Macworld help you learn everything you need to know about Apple’s newest smartphone with the latest book in our Superguide series: Macworld’s iPhone 5 Superguide. Totally new to iOS and not sure where to begin? Our Superguide will introduce you to your iPhone and walk you through the activation process. Discover how to get connected using cellular data or Wi-Fi, and how to share your connection. We’ll also teach you some basic gestures for navigating through apps and home screens, how to download your first third-party app, and connect to Apple’s iCloud service. And we devote an entire chapter to customizing your settings, covering every submenu and toggle. If it’s installed apps you want to know about, our Superguide covers them all: Read our in-depth how-tos on working with your email, navigating with Maps, surfing in Safari, chatting with Messages, and more. We also offer a basic guide for syncing your device and your media with iTunes. Running into trouble? Never fear: Macworld’s own Christopher Breen authors a very special chapter on troubleshooting basic iPhone 5 problems and maladies, as well as tips on when to go to the experts. And in case you’re stumped on how to best outfit your device, we provide suggestions for great iPhone 5 cases, headphones, speakers, and more. To get our iPhone 5 Superguide on the device of your choice, you can purchase it now from the iBookstore and Kindle Store for $9.99; our Nook Store version is coming soon. You can also pick up the book from our Web store. (And don’t forget: Throughout the month of December, every book in our entire store is 10 percent off with the code MAC10.) 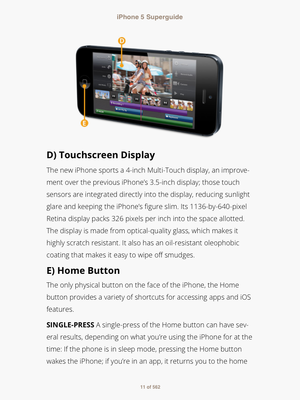 We’re selling our iPhone 5 Superguide as a PDF for $9.99. Or for $12.99, you can purchase our ePub/MOBI/PDF bundle and have a version that you can read on your computer (PDF), iOS device or Nook (ePub), and Kindle (MOBI). If you want to learn more about your other iOS devices, make sure to check out our available Superguides including our iOS 6 Upgrade Guide, Master iPhone Photography, and 12 Things Every iOS User Should Know. Looking for Mac and OS X books? We also sell our Total Mountain Lion Superguide, Mac Basics, Mountain Lion Superguide, and Mac Gems, Mountain Lion edition.